Tomorrow, Saturday 14th October at 1pm AEDT, the Custom E-liter 4K will be available from Ammo Knights. 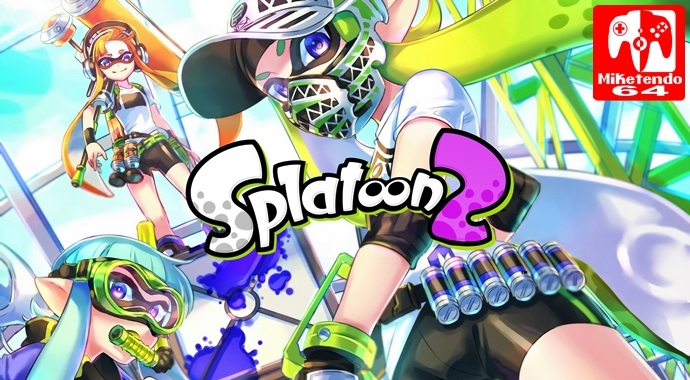 The functions of the main weapon are the same as the E-liter 4K, however with the Squid Beakon sub you can you can jump around to locations on a map, giving you an advantage to line up the perfect shot. Its Bubble Blower special can also be used to protect your teammates or secure your turf. The Custom E-liter 4K Scope will also be added at 1pm AEDT tomorrow. This model is basically the Custom E-liter 4K with a scope. Although it cannot store a charged shot, its range is a bit longer. We look forward to observing how Inklings choose between these weapons based on personal preference and stage layout!